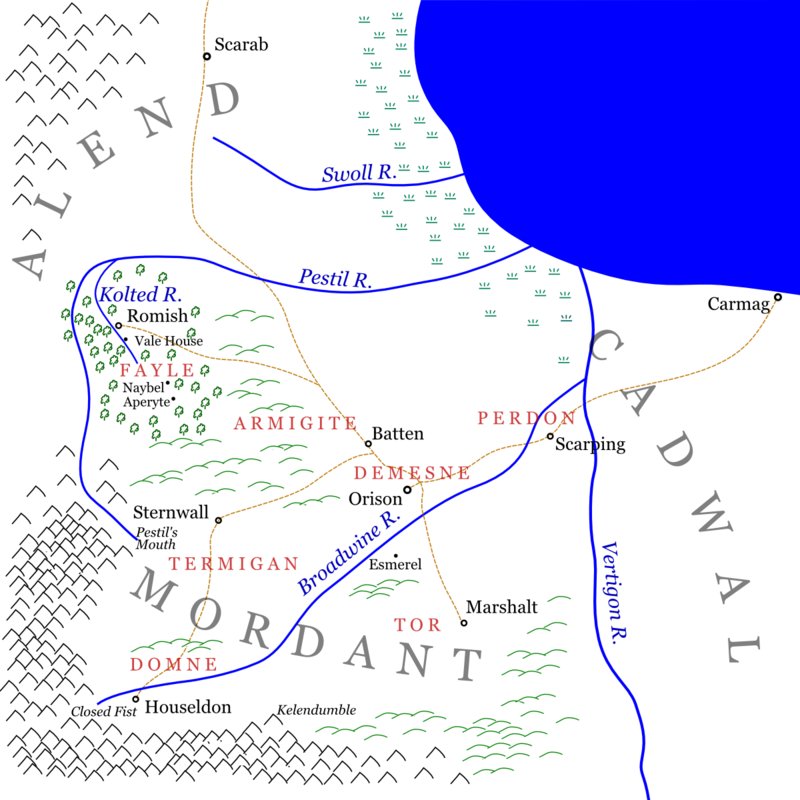 As it happens, the geography in Mordant’s Need is internally consistent, and it’s possible to produce a map that satisfies the constraints stated in the book. Here is one such map. Don’t suppose you have a map of the actual castle of Orison? Believe it or not, the thought of mapping Orison never occurred to me. My memory is that while the story manages to visit almost every corner of Mordant (100% map coverage is a fantasy trope in its own right), the castle is described only in terms of a few key rooms, and they aren’t described precisely enough to put any real constraint on their relative layout.